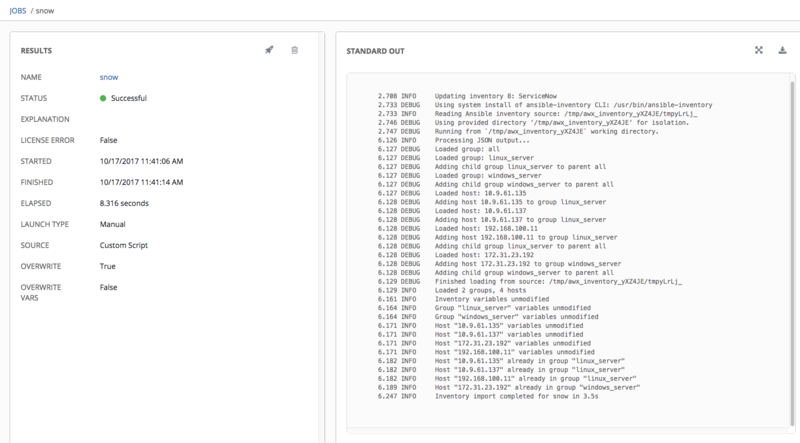 If you are a ServiceNow user you can now go to https://github.com/ServiceNowITOM/ansible-sn-inventory use the dynamic inventory available to sync CI items from Service Now to ansible tower. 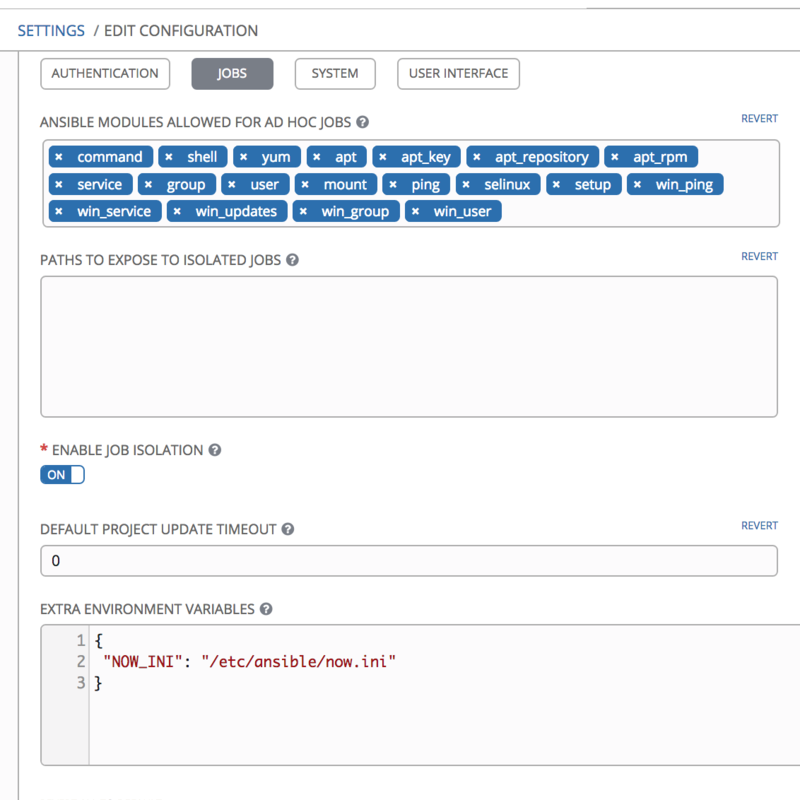 This tutorial will show what you need to do to make this happen on ansible tower 3.2.1. A big thanks to Reuben Stump, Alex Mittell for writing this integration. Modify the instance, user and password. # considered stale. If not defined, defaults to 0 seconds. # caching will be disabled. 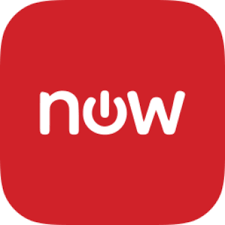 # The ServiceNow instance URI. The URI should be the fully-qualified domain name, e.g. 'your-instance.servicenow.com'. # This setting may also be defined via the SN_INSTANCE environment variable. # The ServiceNow instance user name. The user acount should have enough rights to read the cmdb_ci_server table. # This setting may also be defined with the SN_USERNAME environment variable. # The ServiceNow instance user password. # This setting may also be defined with the SN_PASSWORD environment variable. # Comma seperated string providing additional table columns to use as groups. Groups can overlap with fields. # Comma seperated string providing additional table columns to add as host vars to each inventory host. I have followed the steps for my AWX environment but this doesn’t work for me. Is there any change for AWX setup (which is deployed on Docker containers)? I get the following errors. ERROR! 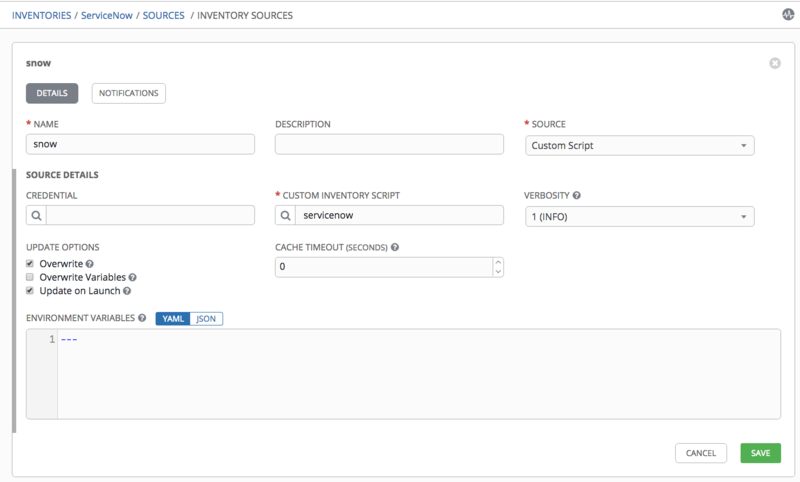 No inventory was parsed, please check your configuration and options. You probably will have to include the python-configparser when you build the awx image. Else this won’t work. Could you please also confirm how can i apply the filters. Maybe, i would like to filter IP range 10.10.10.x or hostname like clab1234* ? I couldn’t find the filtering rules and if i run the inventory without filters, i have a really huge list of servers. Hi, I have followed the same steps but my Tower version is 3.3.0 . I’m facing an error something like this.